In this world today especially in the Gambling world, it is important to take into consideration, the addicts and the underage group of players. eCOGRA is very aware of these facts and do their best to see to this issue. Addictive and underage gamblers, despite their relatively low 1 – 2 percent prevalence in the gambling industry overall, remain a major management responsibility for both ethical and business reasons. Ethical, because this psychological disorder has the potential to impact physically and in a financial sense on both sufferers and those associated with them; moral because the young are more likely to become problem gamblers over time, and in a business sense because taking a laissez faire approach to this critical element reflects badly on both companies and the industry as a whole. We all know that the underage and potentially addictive gambler has to be excluded, but the industry needs to do more in terms of staff training to achieve this, and in commissioning research from an online gambling perspective into the phenomenon. Responsible gambling experts repeatedly point out that we do not yet know enough about this disorder, and how best to recognise and prevent it, although operators are now far more cognisant of the problem than was the case even three years ago. 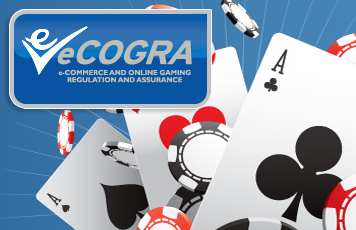 eCOGRA has been very active in the responsible gambling area, and we have not only funded research, but organised three intensive international training courses for operational managers, the last in March thi year. Those operators who supported the course by sending relevan managers to be trained are to be congratulated, and for the first time we welcomed delegates from operators belonging to the European Gaming and Bettin Association, with which eCOGRA has built a strong relationship. We have consulted with experts like Gamcare and liaised wit remote gaming associations to draw up a Code of Responsible Gaming Practice, and our best operational practice requirements for “Safe and Fair” accredited online casinos and poker rooms include detailed guidance on responsible gambling content and self diagnostic facilities on every online gambling website we accredit. After a thorough review of the eCOGRA requirements, Andrew Poole, managing director of GamCare’s Trade Services Limited described these as both comprehensive and practical. “It’s incredibly important that operators have a set of best practice standards in responsible gambling,” he said, stressing the need for training and making responsible gambling a part of the corporate culture. Some companies – the Vienna-listed bwin Interactive Entertainment springs to mind with its substantial funding of a Harvard University study and the effective implementation of responsible gambling measures – do more than others, and continued focus and commitment by operators everywhere is strongly encouraged. Kudos, too to Swedish online betting group Betsson, which has stepped up to contribute to this real need for research into the impact and consequences of problem gambling in the industry. The company has launched a scholarship for problem gambling research in its native Sweden. The scholarships, each amounting to 15 000 SEK, will be awarded twice a year by a panel of experts knowledgeable in the field of gambling, from a list of candidates pre-selected by the respective student faculty. The American Gaming Association and JCM Global has also celebrated a decade-long partnership for responsible gaming at the 10th annual JCM/AGA Golf Classic held at Cascata in Boulder City, Nevada on April 28. The Golf Classic is a fundraiser for the National Center for Responsible Gaming (NCRG) and since its inception has raised more than $500 000 for the NCRG, including $75 000 last year. And over in Canada last month the importance of effective responsible gambling policies and advice was again underlined by the announcement that Canadian provincial government authorities are hiring 9 responsible gambling information officers to educate casino staff and patrons on problem gambling. One of GamCare’s online services has been flagged as a valuable follow-on from training. The organization offers an e-learning training aid ideal for refreshing or “topping up” staff training, and it has proved very successful with quick and easy access from the Gamcare website. It makes all of us players feel better when there is someone out there training to help stop the underage gambling and the addicts. Big thumbs up to eGOGRA! !